Display your collection for all to see! This Black Velvet 12-Inch Diameter Rotating Display Case will show off your figure or vehicle the way it was meant to be seen. 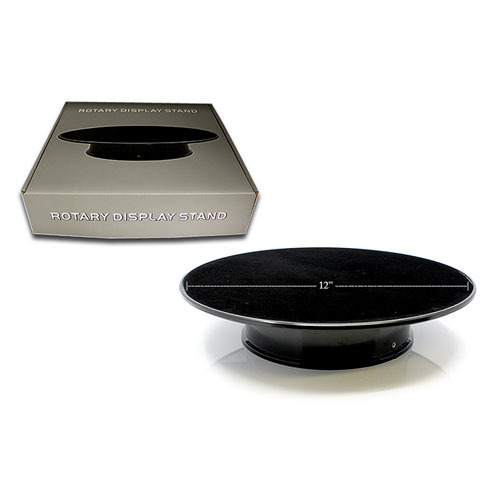 Measuring 12-inches in diameter and featuring a ritzy black velvet base, this rotating display stand will make your collection look even more impressive! Ages 14 and up.